Infographics. Aethon TUG Autonomous Robots - See how TUG works. Facility construction increases demands on delivery and the distances traveled. TUG is an excellent option to automate logistics in new or expanding hospitals and hotels. Click to see all the benefits the TUG brings. TUG robots in healthcare perform the delivery and transportation tasks to free-up clinical and service staff to focus on what they do best: patient care. 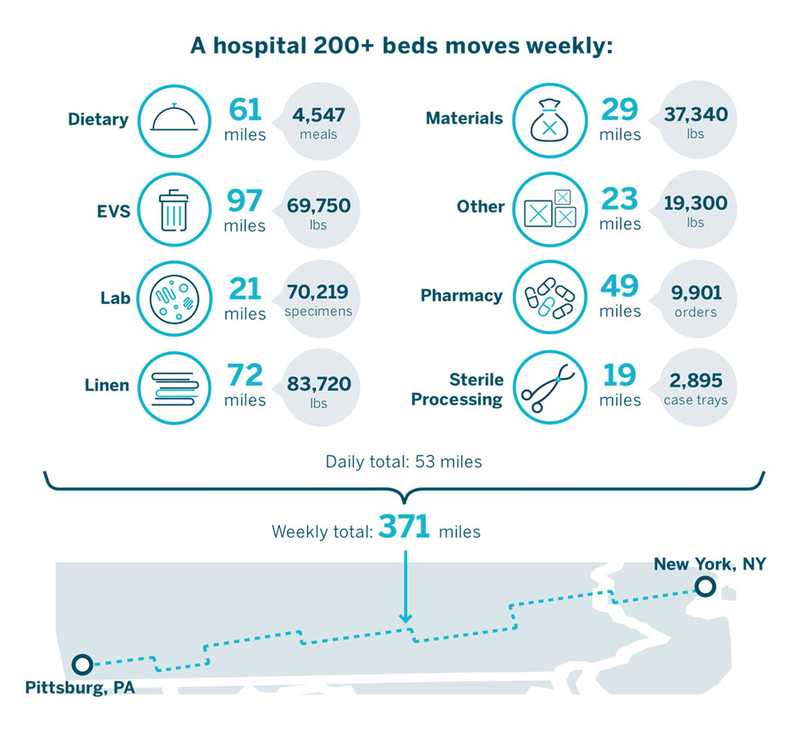 Click to see how much a typical hospital moves and imagine how TUG can generate efficiency and worker satisfaction in your facility. 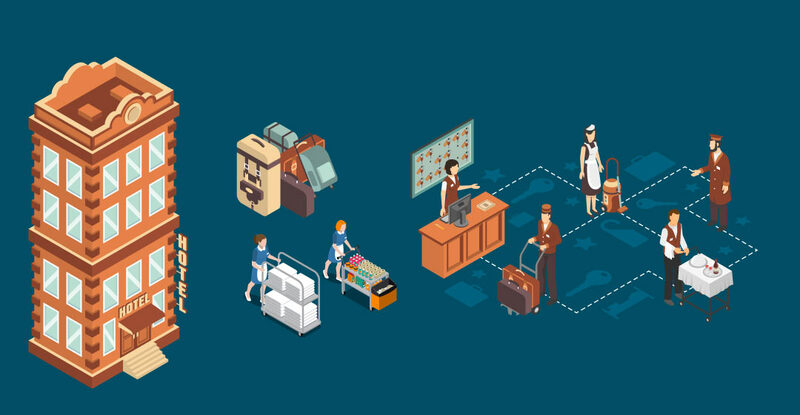 Moving and delivering materials through your hotel is critical for guest service and central to your operations but it doesn’t add value. TUG robots add real value by automating internal logistics so your people can focus on the guest experience. Wireless integration allows the TUG robots to interface with building systems. Click to see how TUG can wirelessly interact with your buildings including doors, elevators, alarms and other secure areas. Our patented Cloud Command Center is able to remotely monitor, support and even control the autonomous mobile robots installed at customers. Click to see the areas that our Command Center monitors and supports 24/7/365. Integration to ERP / MES systems allows automatic dispatch and real-time material movement updates. Software systems that manage production processes and inventory movement can be integrated into the TUG fleet manager control server seamlessly. TUG integrates seamlessly into existing systems and can autonomously navigate around tight assembly lines, and fast-moving workers. It can adapt to the ever-changing footprint of a crowded facility. 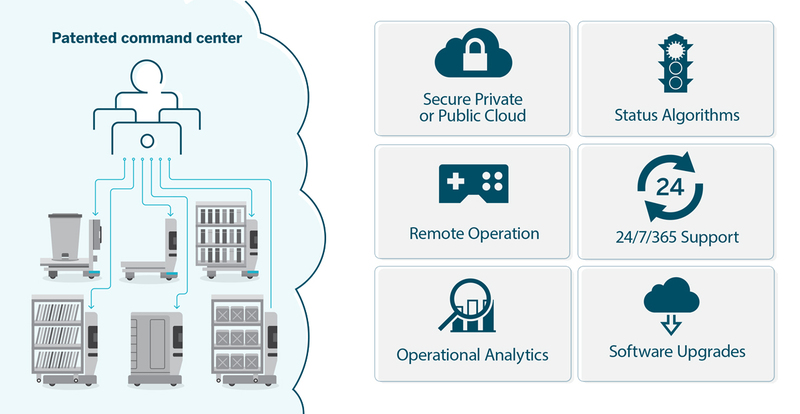 Click to see how TUG can connect your existing “Islands of Automation”.